Last month, two massive earthquakes devastated Mexico. Now, if you were like me, you were captivated by the photos and videos of the quakes striking and tearing down buildings and infrastructure. But, think about it for a second, how did people know to take out their mobiles and record the tremors for posterity’s sake? Well, the first thing you should know is that earthquakes consist of a number of different waves of energy. Some move quicker and are less damaging than the slower travelling ones. And it turns out that scientists have been able to use that speed differential to build early warning systems along and around fault lines. 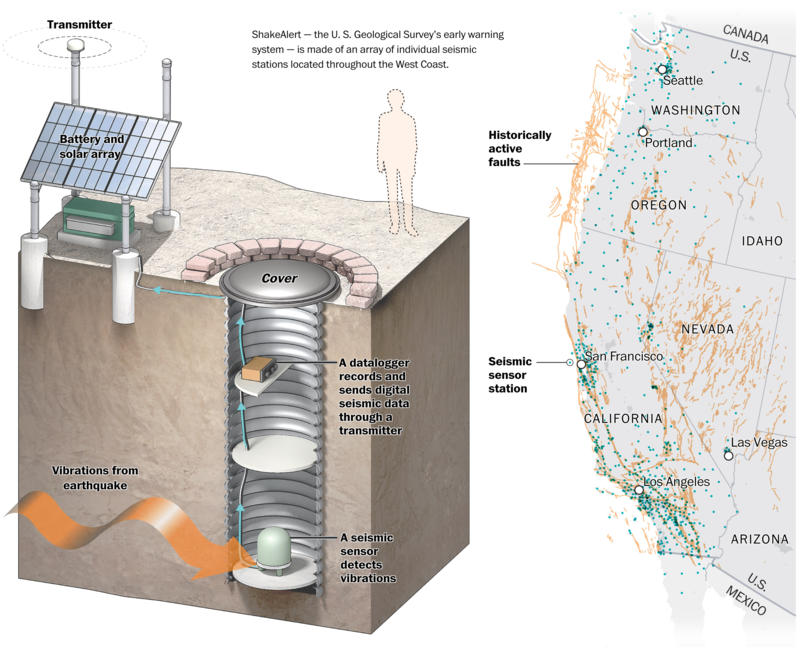 The Washington Post did a really nice job of explaining how earthquake-prone California is developing just such a system to deal with its tremors. I won’t spoil all the details, you should go read the article if earthquakes are of any interest to you.